Two gunmen dead and third wounded attacker taken into custody after security forces confront the assailants. 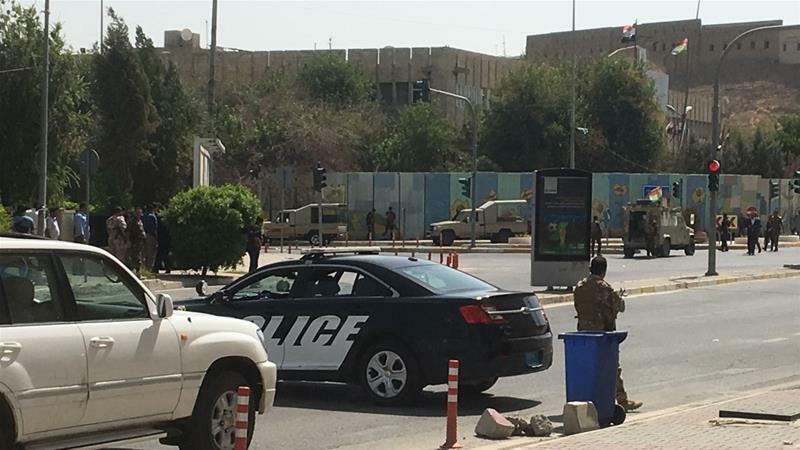 The standoff between Kurdish security forces and three gunmen holed up in Erbil’s governorate building has ended with two gunmen and one civilian dead while third wounded attacker has been captured. The ordeal started early on Monday when the assailants fired their way into the building, wounding one guard and taking one hostage, said Al Jazeera’s Imran Khan reporting from the capital, Baghdad.